Over the last 2-3 weeks, I’ve had Roses on my mind. I love them, and in particular, I love sticking my nose in them and having a sniff, or even walking up to them and being enveloped by a beautiful fragrance. With my new garden just 10 days away, I’m reminded that it’s devoid of any plant other than patchy grass and a few brambles in the backyard, so I’ve got a blank canvas, and I need to add roses in there for those moments of early evening fragrant wafts as I sit out on my patio and survey my Eden. Well, you know what I mean. I happened to be in Ely on market day a couple of times over those weeks, and I spotted a stall offering 2 hybrid tea roses for £5 (or £3 each). They had all sorts and of a good size. 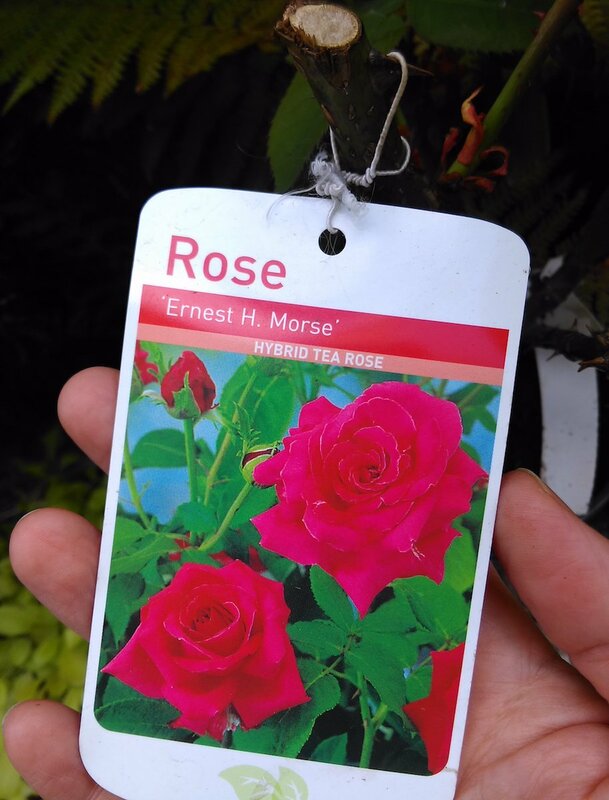 My first visit saw me pick one ‘very fragrant’ red rose named Rose ‘Ernest H Morse’, which I bought, almost with a ‘it’s too early’/’at least get the keys first’ guilty feeling. 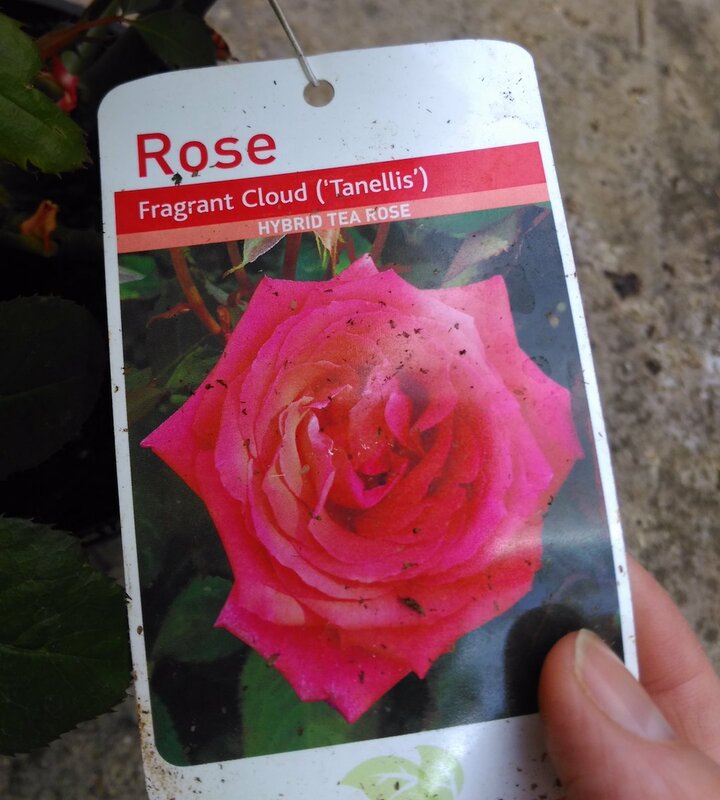 It’s a lovely plant, and I hope that it goes on to bring the fragrant red blooms that the label promises. Then on Saturday, I walked by again and once again they had the same offer. 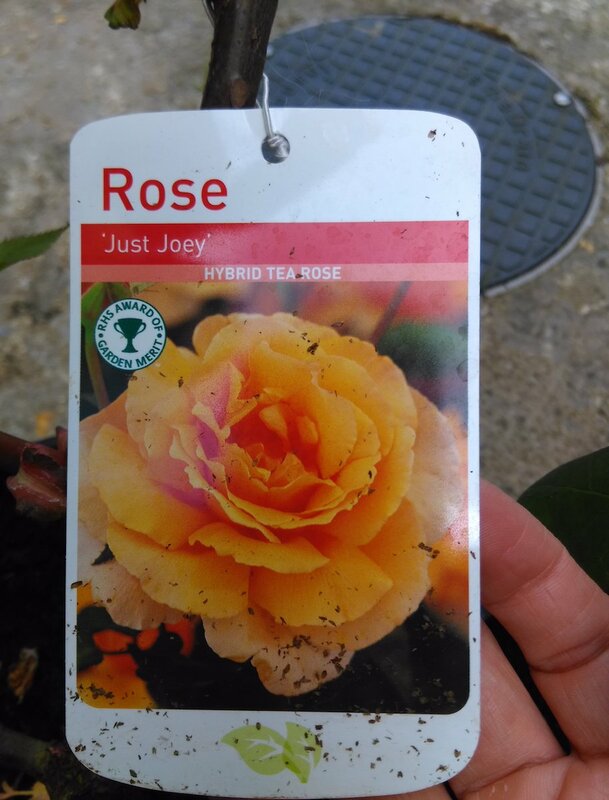 This time, I had little guilt and so bought 2 more – this time a pinky one Rose ‘Fragrant Cloud – Tanellis’, and a golden yellow Rose ‘Just Joey’. Again, these look like good plants, and they’re all marked as very fragrant. I can’t wait to plant them into my new garden, alongside the Rosa that I rescued from Poundland a month or so ago. Thanks again for reading, and happy gardening!